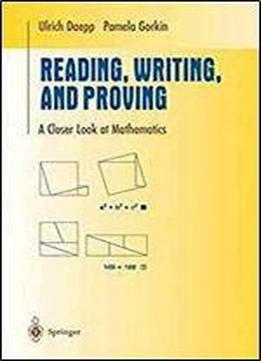 This book, based on Polya's method of problem solving, aids students in their transition to higher-level mathematics. It begins by providing a great deal of guidance on how to approach definitions, examples, and theorems in mathematics and ends by providing projects for independent study. Students will follow Polya's four step process: learn to understand the problem devise a plan to solve the problem carry out that plan and look back and check what the results told them.